You’ve seen them on billboards, tv commercials, newspaper and internet ads: businesses claiming virtue by appearing to lighten their environmental impact. “Going green” may be the new trend but how can you discern genuine sustainable action from PR pranks? How can you tell which companies are walking the talk and which are just trying to open our wallets? I’ve been writing about greenwash for years. It really irks me that the huge industries like the bottled water industry and consumer products try to portray themselves as environmentally responsible in order to overstate environmental benefits or, in worse cases, misrepresent, mislead, diminish, or divert attention from environmental wrongdoing. And now, these large advertisers even have a media company, CBS and their “Eco-Ads” to help them confuse consumers even more. So, I was thrilled to be asked to participate in an event next Thursday: The Red Flags of Greenwashing: A Regenerating Solutions Salon which seeks to answer those questions. Greenwash refers to efforts by companies to portray themselves as environmentally responsible in order to overstate environmental benefits or misrepresent, mislead, diminish, or divert attention from environmental wrongdoing. There are many ways in which businesses greenwash, ranging from mild miscommunication to flagrant misrepresentation of facts. The fact that many companies accused of greenwashing actually engage in credible, valuable green practices further complicates things. As part of normal business operations, these companies may promote a variety of green practices. And while some may criticize these companies for saving the company lots of money in the process, that doesn’t bother me at all. Those practices good for the environment and that’s a good thing. To learn more about what exactly constitutes greenwash check out TerraChoice’s Sins of Greenwashing Study or the Greenpeace Greenwash Criteria. If they are doing good things, why shouldn’t a company talk about their green practices? It’s all well and good for companies to tout their environmental practices, but unless those practices are affirmatively good for the environment, that should not be the focus of the messaging. 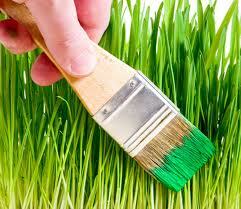 Greenwashing is about consumer marketing and positioning, because this is where the greenwash occurs. When companies claim greenness and then exaggerate and misrepresent their environmental achievements or continue to promote activities that are actually harmful to the environment, they are misusing their environmental achievements to deliberately confuse consumers. Is my industry inherently polluting or unsustainable? Do any of the trade groups I belong to lobby against pending or current environmental laws and regulations? Does it exaggerate an environmental achievement in order to divert attention away from an environmental problem? Does it focus on one environmental achievement but conceal other environmental impacts? Does it tout environmental achievements that are required or mandated by existing laws? Is it impossible to substantiate the environmental claims? If you use a third-party certification or eco-label to promote your business, does it have reasonable yet stringent criteria? Are the environmental claims vague or meaningless? If the answer to any of these questions is “yes,” then you should not consider positioning the product or service as green. You can either fix the issue so the answer becomes “no,” or you can mention the environmental achievement, but not use it as a positioning strategy. Say you’re a retailer that sells some green products. Instead of calling yourself a “green retailer,” you can credibly advertise a section in the store devoted to green products. This is what the office supply industry has done. None of the major office supply retailers call themselves green—because they all offer products that are not eco-friendly. However, they all have significant green sections on their websites and in their catalogs. What can I do as a small business person? Position your products and services with honesty and accuracy, and sell the core consumer benefits first and foremost. At the same time, let your customers know about what you’re doing to green your operations. If they think you’re trying to divert them from the facts, they’ll be mad. But in the end, what you’re doing matters to them. About the Regenerating Solutions Salon series. The Bay Area environmental scene is rich with opportunities to volunteer, take action, and get politically engaged. The Ecology Center’s Regenerating Solutions Salon provides a time and space for talking with others about questions, issues, and challenges that come up when engaging in environmental advocacy and personal action with presentations and facilitated discussions touching on a variety of topics. Salons are free and open to anyone interested. Is BP Going for Greenwash Gold at London 2012? Cleanweb Hackathon, San Francisco: Hacking Continues, Results Soon!